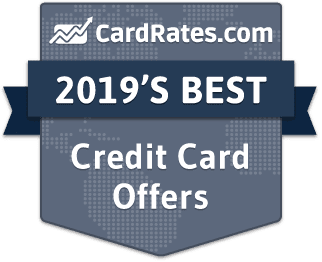 Below are our picks for 2019's best cards that offer points, gifts and other rewards for purchases. Many of these also offer an enticing 0% intro rate for a number of months. Our reviews follow strict editorial guidelines and are updated regularly. 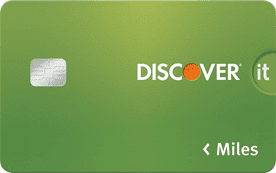 Credit cards come in all shapes and sizes, from those offering air miles to those that rebuild bad credit. The cards in our Points category boast popular reward programs that enable users to redeem points for everything from gift cards to cash back. Below is a summary of the best points-based cards. Click any card name to visit the issuer's official site. As things like online shopping, digital payments, and identity theft become more prevalent, credit cards are becoming increasingly necessary for consumer life. In response, more and more credit cards are hitting the market hoping to get their share of the burgeoning consumer base. As a result of the crowded marketplace, credit card companies are forced to compete against each other for your business. As issuers work to make their products stand out from the crowd, they’re offering better rewards and more diverse bonus categories. Despite their abundance, however, many people still don’t take full advantage of their credit card rewards points. While this is great for issuers — rewards that aren’t used don’t cost them anything — not making the most of your rewards could be costing you hundreds of dollars each year. Thankfully, maximizing your credit card rewards isn’t difficult, and can be made even easier with a few simple tips. The most important step to maximizing your credit card rewards to make sure you have — and use — the best card for each purchase, starting with the purchases you make most frequently. For example, if you drive a lot for work, then make sure you are using a credit card that offers a high earnings rate for gas station purchases. If you can responsibly manage multiple credit cards, then you can easily maximize your rewards on nearly every purchase with the right combination of bonus category cards. Rewards credit cards often offer another way to boost your rewards: issuer shopping portals. These portals are typically available through your online banking account, and they can provide big discounts or bonus rewards for purchases made with partner brands and retailers. The most popular feature of rewards points is that they tend to offer multiple redemption options, allowing you to customize your rewards. At the same time, not every redemption option will provide the same per-point value, so you may want to consider the best way to get full value before redeeming. Ultimate Rewards® points from Chase, for example, can be redeemed for cash back at a rate of 1¢ per point, or be redeemed through the Chase travel portal for up to 1.5¢ per point. And transferring your points to a partner airline or hotel loyalty program could give you a value of 3¢ per point or more with a smart redemption. One of the reasons issuers encourage you to use your cards with purchase rewards is in the hopes that you’ll carry a balance, thus providing them revenue through interest fees. You can turn the tables on them, however, by paying off your balance every month before your due date. So long as your card has a grace period, you won’t be charged interest if you pay your balance in full. In today’s world, nearly any purchase can be made with a credit card. So, if you’re going to be spending the money anyway — you may as well get rewarded for it. Just make sure to budget the cash by sticking it aside for when the bill comes due. Remember rule number four! One way to ensure that your rewards credit cards stay maximized is to do an annual credit card audit. Consider each card individually and determine whether its rewards and/or benefits are still worth its place in your wallet. This can be especially important for cards with annual fees, as they can literally cost you money just to carry them. Accumulating points is, well, pointless if you don’t use them. While many modern rewards programs don’t have expiration dates so long as your account stays open and in good standing, not all rewards points life forever. In many cases, your card company will notify you before the points are due to expire, but don’t count on your issuer to do the work. Proper planning will ensure you use them long before they expire and disappear for good. Credit card rewards are a great way to earn a little something extra, as long as you know how to do it right. By following these seven tips, you’ll put yourself in the minority of folks who actually come out ahead with their reward cards. It takes a little effort, but the rewards are worth it.